We are bombarded on a daily basis with countless stories. Brands, individuals, charities and friends are constantly sharing stories with us. We cannot possibly engage with every story we hear, so only those that touch us in a meaningful way engage us. Usually this is because the story has engaged us on an emotional level. 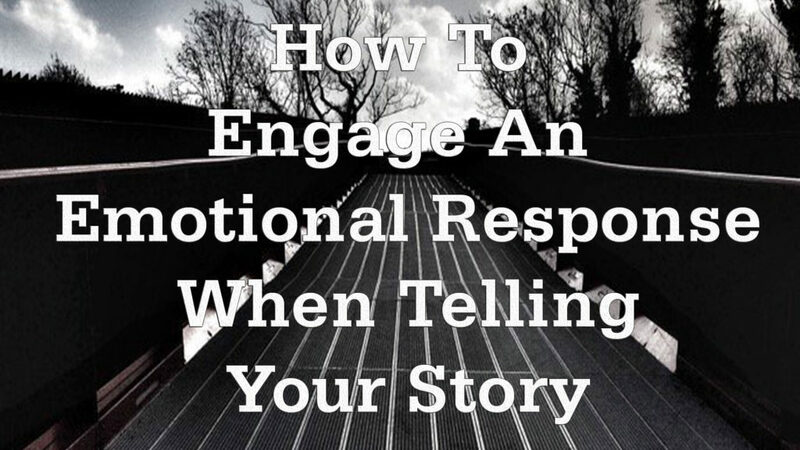 From a story telling point of view to engage your audience you need to elicit an emotional response. There are various emotional theories that say there are 4 to 27 emotions, and various ways of categorizing them. Below I have shared Paul Ekman’s six emotion classification as it covers the basics. Everyone loves a happy story and told well it can inspire its audience. We are always looking for that path in life that will makes us happy and if we can find it in a brand story, we will engage with that brand. The key is not to make your audience so happy that you lack credibility as everyone knows life is full of ups and downs. It is by embracing these ups and downs that we find solutions that work for us. Since we were children we are familiar with sad tales and the emotional impact they can have on us. Tugging at our emotional core a well-told sad story can impact our action. The key to telling a sad story is for the brand to show a redemptive path for the story hero. Bring your audience on the journey that has highs and lows, but eventually leads to a positive ending. Brands often use fear to motivate their audience. Usually it is the fear of missing out on something, such as a time limited special offer. Fear is a very powerful motivator and used sparingly in your storytelling can prompt your audience to take a particular action. Anger is a great emotion for motivating your audience to action. If you can paint a picture of a situation where your audience will share your anger they can be moved to action. Charities use this emotion when sharing stories of people less privileged than most people. Anger should only be used in storytelling when you are offering your audience a better way to solve a problem. Disgust is an emotion that should be used sparingly when telling your story. It has the ability to turn your audience off and while they may sympathize with your plight it may just be too much to take. One of the best ways to engage your audience is to surprise them. Drama is pure gold in storytelling it makes your audience sit up and take notice. Your audience will remember an unexpected twist in your tale long after they have forgotten a less dramatic story. Brand storytelling should not be about creating an artificial emotional response. Emotional storytelling is all about creating a genuine emotional response. Isolate the elements of your brand journey that you share with your audience the common challenges, successes and failures. This will make your audience engage with your experience on an emotional basis. Posted in Story Telling and tagged audience, Audience Connection, brand story, Call to action, Emotion, emotional connection on March 24, 2019 by admin.